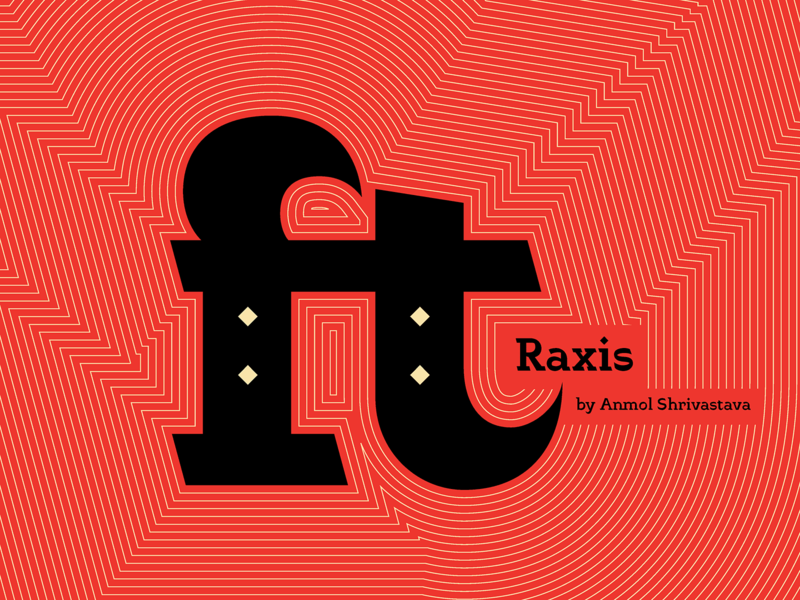 Raxis is an experimental typeface based on reverse axis . 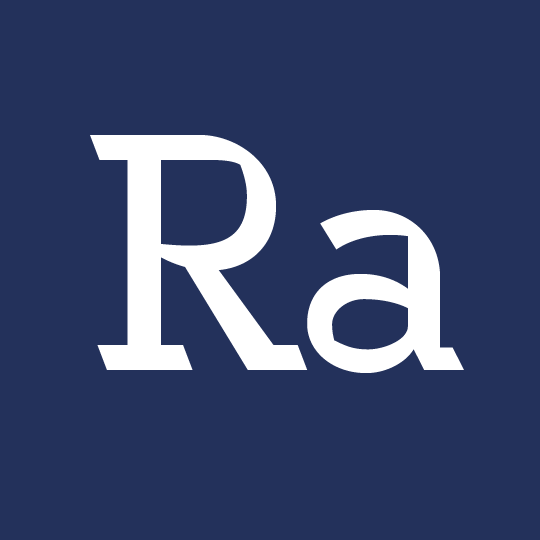 The normal Latin humanist angle is usually slanting forward but my axis slants backwards. Coming from central India, Devanagri is my ‘mother script’. I was inspired by the shapes and forms of Devanagri calligraphy. 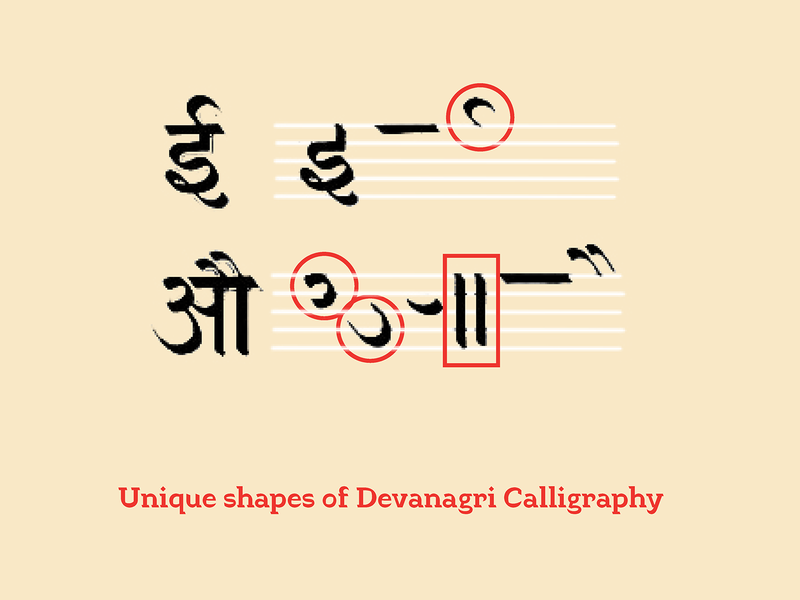 The axis for the basic Devanagri calligraphy is also slanting backward. According to me, most of the existing examples of Devanagri inspired Latin fonts look a little copy–paste from Devanagri writing. 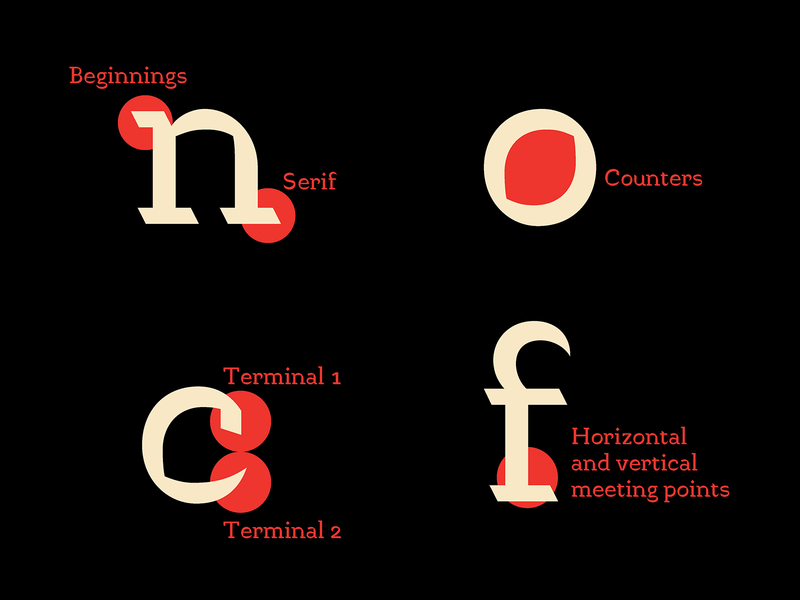 I wanted to try and do more justice to the Latin letterforms. For reference, I then looked at sinistral calligraphy by Spencer Charles and some Dwiggins’ explorations but was mostly depending upon trial and error to solve this puzzle. My process started with parallel pen calligraphy in reverse angle. So the initial letters look extremely weird. I practiced a lot of Devanagri and Latin calligraphy alongside to understand how the pen would work and the shapes it would create for Latin better. The process was like a tug of war between the basic Latin letterform construction rules and the crazy elements that came from the calligraphy sessions with the parallel pen. 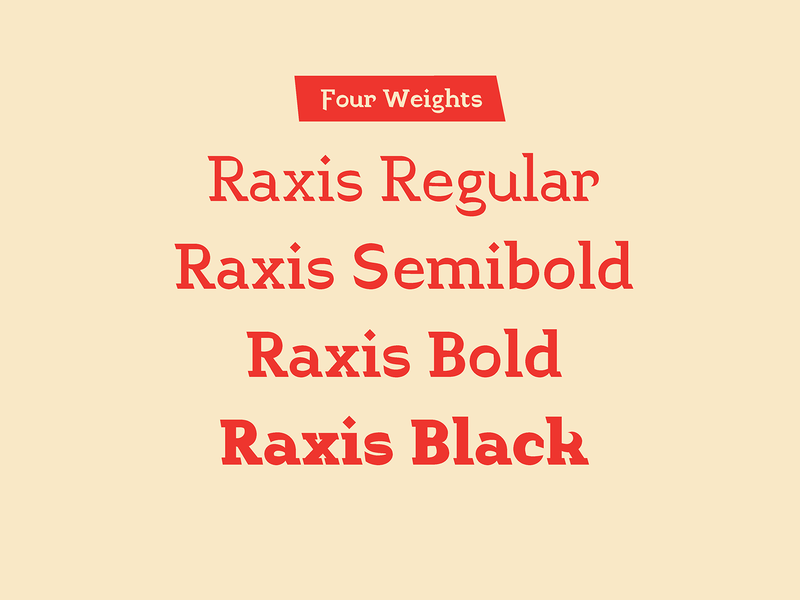 And after much deliberation and back & forth , Raxis was born. 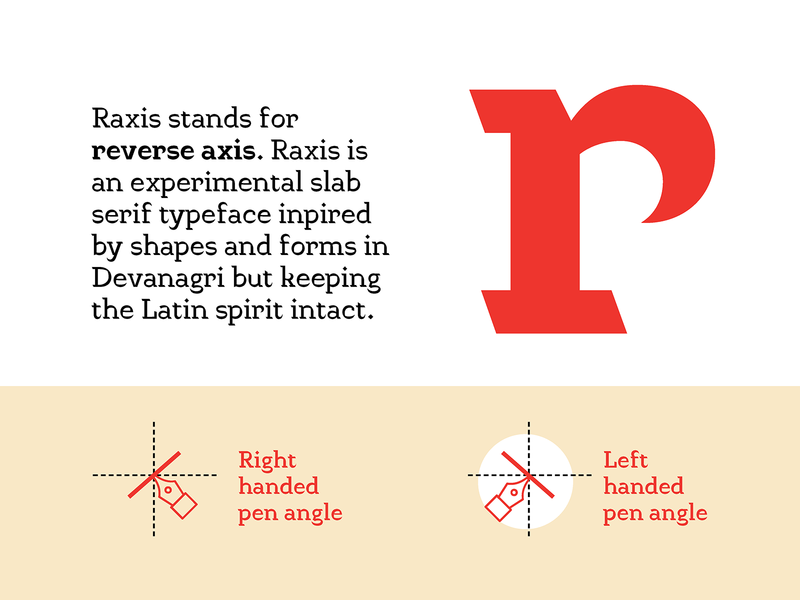 Raxis is a reverse angle slab serif. 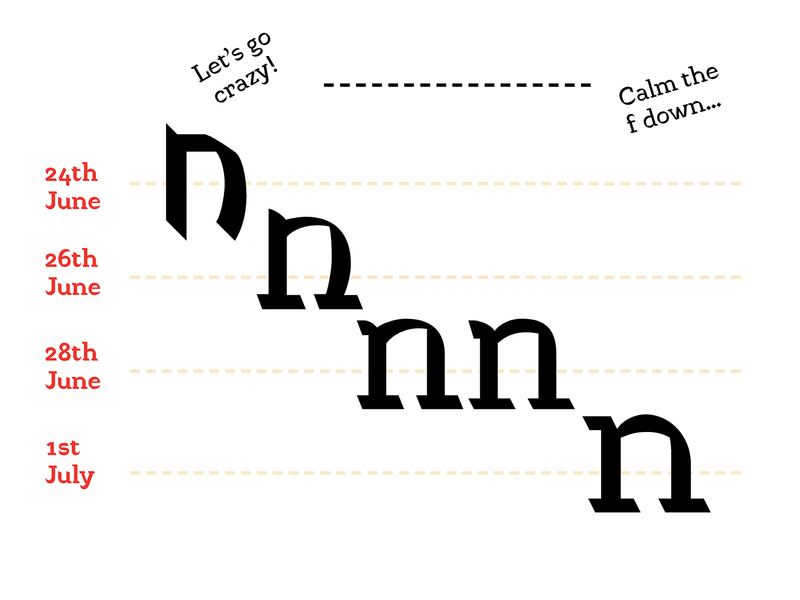 The letterforms are a little wide with sometimes sharp and sudden endings. I decided to make the tail of t and j, the heads of r and s pointy. 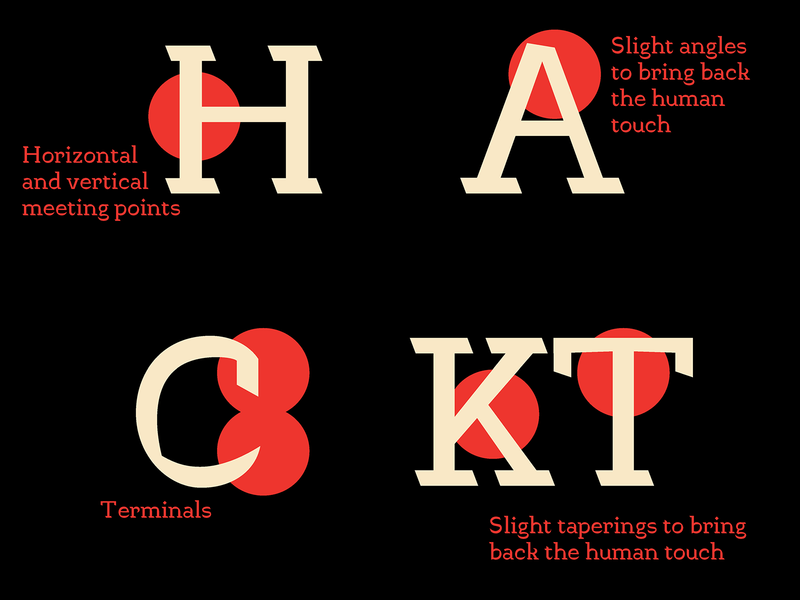 We had to begin with a text version but for extendin this typeface, I decided to go bolder. I did a really fat version which could also be used as a display (that was my plan even before the text!). The main challenge was to make the regular weight text friendly. 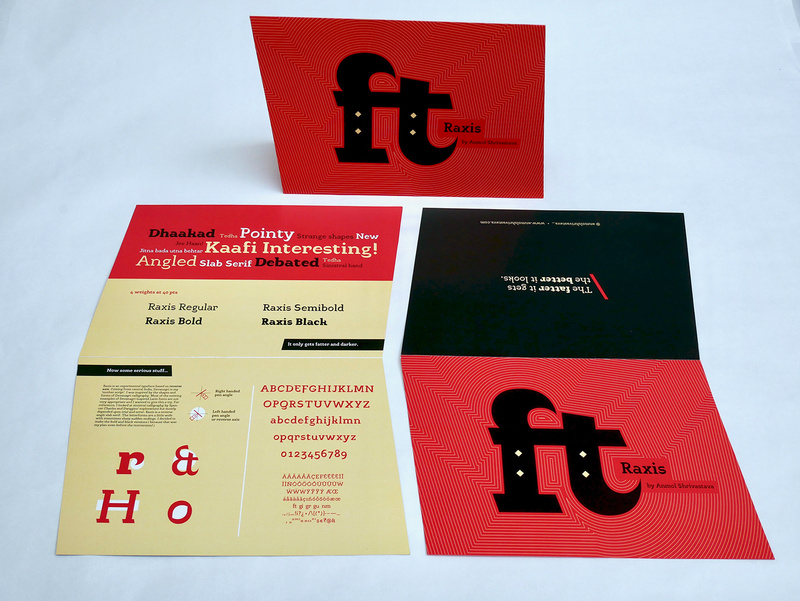 And the black-er the typeface gets, the better it’s overall colour looks. I would really like to thank – Mathieu Réguer, Julien Priez, Xavier Dupré, Marc Rouault and David Coleman for their patience (! ), guidance, help and time. Of course, Jean Francois for having an utmost faith in the project even when most called it an impossible task. The guest critics of course, merci beaucoup! And last but not the least, my f*cking awesome classmates.